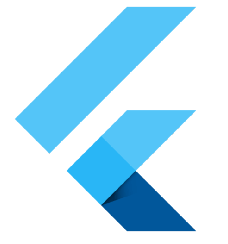 Firebase, Cloud Storage and Flutter - Flutter - Uploading files. Uploading….a tireless work, anyone does at any time.Why not me???? The world of uploading was narrowed down by me which maybe correspond to our daily activities……. Downloading latest wallpaper (image downloading), sending audio (audio uploading) and applying through LinkedIn (pdf uploading). This article covers how to upload different types of files..
Firebase, Cloud Storage and Flutter…. Question : How to select files from our device ? File picker plugin, which allows us to access any type of file from any device (Android / iOS). How to use : Add as dependency in pubspec.yaml and adding the dart file in your file. Now, we can get any type of file from the device. Next step is uploading…. Next, linking the selected file and the firebase storage. StorageReference (Part of firebase_storage), is used to get an instance of the Cloud Storage reference. Here, the fileName is the name which you want to give to the file uploaded. storageRef.putFile() : takes in the file. Cache-Control, Content-Disposition, Content-Encoding, Content-Language and CustomMetaData. This uploadTask is a future, so you might wanna show the user some progress bar etc. After the file is uploaded, you may want to get the download url…right???? We do this by…. By this time, you should see the file inside the Cloud Storage. As soon as the image enters our cloud storage, a Cloud Function gets triggered which then converts the big image into a thumbnail. NOTE : We need to write a Cloud Function for generating thumbnail. The download url which we got from above, will be used for downloading the image. Either we can use the Image.network widget for displaying the image or we can save the file in the cache and then show..
We take the downloaded url (here the httpPath) and get the fileName only out of the entire url. This initiates temporary directory and creates a file inside that directory. You may wanna use import ‘dart:io’. This downloads the file from the cloud storage bucket and writes to the temp file created above. You can upload videos, pdfs, mp3 just by selecting those files and then continuing as above.